Every Brownlow Medal night Seven becomes the only game in town and it was the case once again last night as it skewed the network shares their way. Seven network share was a big 36.6% then Nine 26.5%, ABC 17.6%, TEN 14.5% and SBS 4.8%. Strictly speaking the Brownlow was not the top rating show of the night, but only because it aired on 3 cities on Seven’s primary channel. It pulled 939,000 viewers on Seven, 9,000 more than last year (plus another 66,000 on 7mate). In Melbourne there were 582,000 watching. The Red Carpet special scored 663,000 (96,000). Seven News was the top performer for Seven at 983,000 / 813,000. Home and Away was 812,000 and Million Dollar Minute was 518,000. In Sydney and Brisbane a Highway Patrol special was 502,000 and the movie Men in Black was 250,000. Talking Footy scored 290,000 in 3 cities. The Block again topped the night for Nine at 1.33m then Nine News (1.13m / 1.08m), A Current Affair (965,000), Big Brother (670,000) and Hot Seat (580,000). Big Bang repeats were 262,000 / 195,000. ABC News (795,000) was best for ABC then 7:30 (778,000), Australian Story (775,000), Four Corners (629,000), Media Watch (540,000), Q & A (476,000 / 53,000) and QI (446,000). The Project was 595,000 / 452,000 for TEN then TEN Eyewitness News (582,000), Have You Been Paying Attention? (429,000) and Modern Family (392,000 / 389,000). NCIS: LA was just 195,000. The Real History of Science Fiction (202,000) was best on SBS ONE then Swallowed by a Sinkhole (197,000), SBS World News (137,000), Legally Brown (114,000) and Brooklyn Nine-Nine (86,000). Neighbours topped multichannels at 279,000. Is Dr E a sacred cow? Thanks for the responses people. One of the best brownlow votes ! Seven and Crown did an excew job. @ Secret Squirrel, I probably come under the category of “dedicated fan”, so let me help you understand why I enjoy it so much. Yes there are way too many commercials and too much side-tracking rubbish by the various ex footballers who now commentate, but if you can get past those issues, the count itself is quite special. As has been pointed out, it’s a reflection on the season and a chance to think back to various games and rounds that shaped the season. If you’re lucky, you get a close count and who doesn’t enjoy a tight contest. It’s also the start of grand final week, which is a great week to be in Melbourne if you love the footy. @Pertinax At least give Seven credit for showing all AFL matches and the medal thingee last night live into NRL states. Given that everyone now has digital tv, it shouldn’t make any difference if the coverage is on Seven or 7mate. But yes, I agree wholeheartedly. I was flipping back & forth and even that was enough to know they were talking more nonsense than usual. You have to be an AFL fan. I watched in Sydney and thought the telecast was pretty good. Loved the mini reminders of what happened each round before the count was read out for that round. Showing the contenders and announcing the winners for mark and goal of the year were highlights. And with Ablett out for the last 7 games, and a few leading contenders ineligible, the final rounds were pretty tense. @DaveyBoy – I know people watch some strange things but I have never understood why anyone, apart from the footballer’s family and a few dedicated fans, would want to sit through hours of someone reading out the points awarded for each match. It’s not as if every now and then someone shouts “Bingo” and wins a car or a holiday. Dull, dull, dull. Surely Ch 7 in Sydney and Brisbane would have been better off served switching to the Brownlow telecast at 8:30 rather than show an old dated movie like Men in Black??? The Brownlow also pulled 286,000 on Fox Footy – The broadcast on Fox Footy was a direct simulcast of Seven’s with the Seven logo in top right hand corner and featuring all of Seven’s ads – none of Fox’s own – it was like watching channel Seven on channel 504! So overall ratings would be about 1.25 million. The only game in the the towns of Melbourne, Adelaide and Perth. Up here the numbers on 73 are so low it doesn’t crack the top 20 for secondary channels Seven doesn’t even bother to include them in the totals. I hardly saw any red carpet between the countless ads 7 showed in the 45 minutes. Would’ve been better showing a 5 minute montage of the outfits and getting on with business. 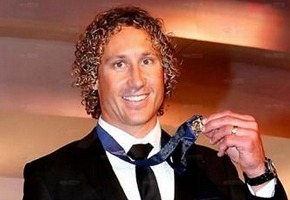 The Brownlow is not that good a spectacle to drag out. The only good thing was the closeness of the count and that a favourite did not win. SEN radio had good coverage and commentary on the Brownlow. Windows phone afl app (finally have with one deficiencies) brownlow section of the app as a second screen didn’t work. Had to rely on the afl mobile site for a leaderboard. I do not understand why 7 persists with a live and free watermark during the finals and the Brownlow. I see QI is breathing down the neck of The Project 6:30. The fact that the winner was so uncertain this year would have also helped. The telecast itself was even more of a chore to sith through than it usually is.